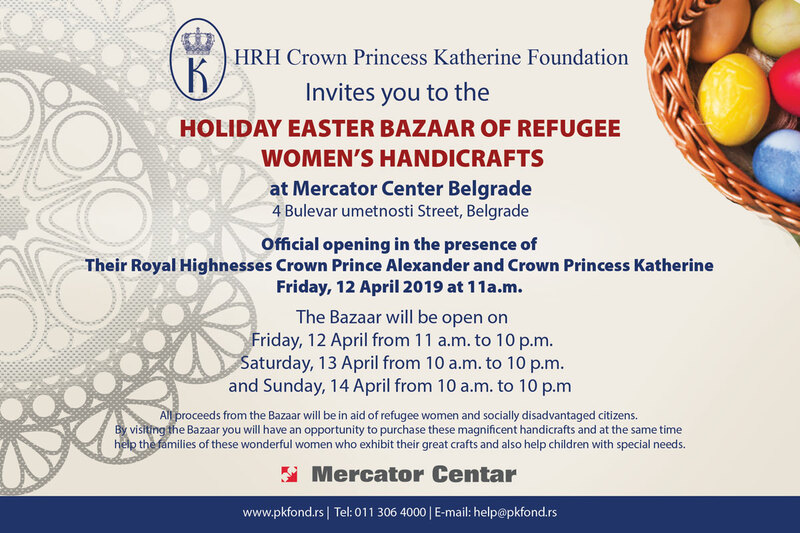 Her Royal Highness Crown Princess Katherine visited Belgrade Safe House where she delivered packages of clothes, blankets, baby blankets, towels, hygiene products and toys to the director of this institution Mrs. Vesna Stanojevic. This great help was provided for 19 women and 26 children who live here, by Lifeline Chicago Humanitarian Organization whose Patron is HRH Princess Katherine, and four more Safe Houses from Serbia also received the same packages with humanitarian aid. HRH Crown Princess thanked Lifeline Chicago for their great help and emphasized how important it is to solve the problem of unemployment among the women staying in the Safe House because a secure job represents a secure future.